I collect old vintage fashion catalogs, especially from the retro vintage 1950s. Montgomery Wards, Speigel and others. I use these to date and identify my vintage clothing, shoes, handbags and retro finds. 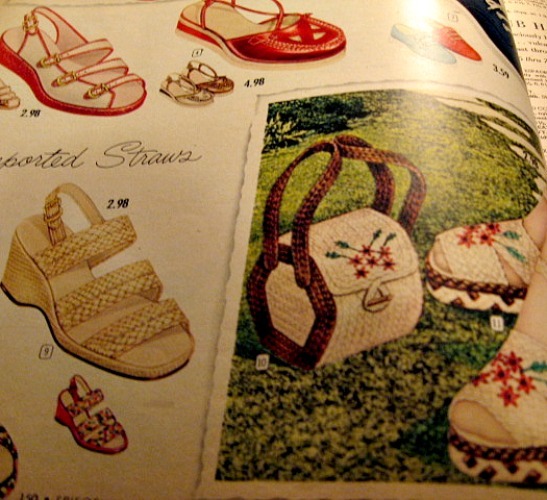 Browsing through one of the vintage catalogs on a rainy day is like taking a trip back in time. I also love to use theses “Wish Books” as they were called to help decorate my 1950s vintage den. 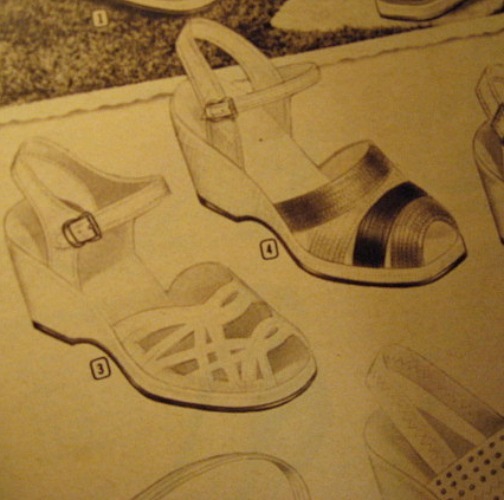 Here are few pages of 1954 vintage shoes styles from a Speigel Spring and Summer book. 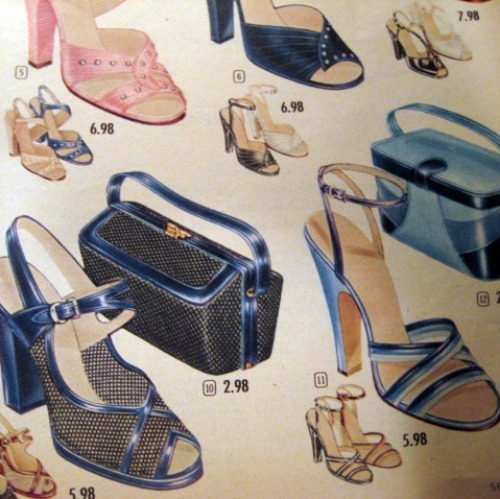 I have also included vintage shoes from my Bette be Good Vintage shop that resemble these styles. More vintage 50s shoes. Wedgie sandals. Posted in Vintage Accessories and tagged 1950s, 1954, accessories, bettebegoodvintageclothing, catalog, fashions, retro, shoes, speigel, spring, styles, summer, vintage. Bookmark the permalink.